The long saga of global bodies negotiating over Iran’s nuclear program ended a significant phase on July 14, 2015, when the parties concluded a Joint Comprehensive Plan of Action (JCPOA) in Vienna, Austria. The negotiation has now entered the “approval” phase by various bodies including the US Congress. The initial reviews and comments of the JCPOA have been heated and ugly. Brooks concluded that none of Obama’s stated objectives were realized. He referred to the agreement as a “partial surrender” to Iran that came about because of the poor tactics of team Obama. However, that is not the question before Congress. If Congress were to vote on whether the JCPOA produced a disappointing result, the vote would be nearly unanimous (with the exception of a few Obama puppets). But Congress is not being asked to opine if this was the best deal that could have been achieved, but whether the deal is good enough. On August 10, 2015, former New York City Mayor Michael Bloomberg spoke out against the president’s tactics in aggressively trying to sell the JCPOA. In “White House Should Leave Politics Out of Iran Deal,” Bloomberg admonished Obama for name-calling opponents of the deal war-mongers and for threatening payback against any politician who dared to vote against the deal. For his part, Bloomberg concluded that the JCPOA was extremely marginal at best, and that Obama’s forceful defense of the deal was “grossly overstating” his case. The “especially disappointing” behavior by the White House was politics at its worst, particularly when so much is on the line, according to Bloomberg. Politicians should not vote on this significant agreement based on politics or party loyalty; they must vote based on the deal’s merits. 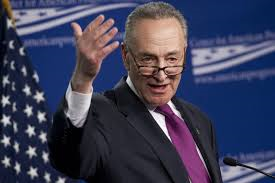 In terms of the negotiating team’s primary mission of preventing Iran from getting nuclear weapons, Schumer stated that there “are serious weaknesses in the agreement,” including the lack of anytime-anywhere inspections and that the US would need approval of a majority of China, Russia and the Europeans to enforce inspections. Overall, he thought the deal’s terms were not compelling. Senator Schumer analyzed and articulated his assessment of the deal. He avoided voting based on the deal’s disappointment, and based on his president’s rhetoric. President Obama has stated that the only alternative to this deal is war. Secretary of State John Kerry stated that there is no “better deal” out there nor is there an opportunity to renegotiate this one. Yet, those claims are far from clear. Based on behavior of both Obama and Kerry, it would be easy to conclude that these are just their opinions dressed as facts as they attempt to forcefully push through the JCPOA. There is no clear answer as to the impact of the US voting down the JCPOA. While procedurally, it is understood that Obama outmaneuvered Congress in only needing one-third instead of a two-thirds vote to secure his deal, what happens if Congress does manage to have the votes? Obama claims that Iran gets the best of all worlds and gets sanctions relief from the rest of the world while it moves forward with a nuclear program. That is hard to imagine. That inherently implies that the rest of the world doesn’t care if Iran has nuclear weapons and it is only the USA that is applying the pressure. If Obama really believes that, then a negative US vote is an opportunity to renegotiate. Disappointment: The JCPOA is clearly a disappointing result, especially considering the many years that tough sanctions were imposed on Iran as well as the severely depressed recent price of oil applied intense pressure on the regime that will be hard to ever replicate. Together with significant American troops next door in Afghanistan, the P5+1 had tremendous leverage to force complete capitulation by Iran. The President: Obama is overselling his weak deal as a “strong deal” (in his words) and is bullying his fellow Democrats into submission. If the deal is as strong as he claims, it should be able to stand on its own merits. The Deal: The deal by itself seems borderline at best. Perhaps it is better than nothing- but only if it costs nothing. The significant sanctions relief and various deal terms make the marginal deal appear unacceptable. Ramifications: Congress must vote on the deal based on its merits and not based on the disappointing terms nor Obama’s threats. But it must also better understand the ramifications of rejecting the deal. Kerry’s losing face is not a reason to alter one’s vote on something so important. Congress and the American people must understand the actual ramifications of turning down the JCPOA without the aggressive salesmanship of the White House. Summary: Obama has asked Netanyahu to trust him on an issue (Iranian nuclear power) that is an existential threat to his country, even though Obama hasn’t earned that trust on more basic issues. Obama then compounds Netanyahu’s fear by stating Obama will act completely alone in controlling the outcome. Netanyahu’s nightmare is not just becoming “1938 Czechoslovakia”, but “2014 Ukraine”. Trust is the bedrock of a functional relationship. It enables one party to rely on the other. A trust that includes both intention and capability permits a sharing of responsibility and workload. The relationship between US President Obama and Israeli Prime Minister Netanyahu started off badly and further deteriorated over the years. Personalities aside, the lack of a shared vision about the path to peace and security in the violent Middle East damaged relations. However, it was a series of bad decisions which destroyed the trust between the two leaders. Negotiation with Palestinians. Obama’s actions early in his presidency, hurt his credibility with Netanyahu. Obama insisted on an Israeli settlement freeze as a pre-condition to negotiations with the Palestinians- a pre-condition that was never introduced before, even by the Palestinians. Despite Netanyahu’s serious reservations, he instituted a ten-month freeze on building new homes in the west bank of the Jordan River. In exchange, Obama could not get acting-Palestinian President Abbas to even show up to talk for the first nine months, and when he did, all Abbas offered was extending the freeze even longer. When US Secretary of State John Kerry tried another round of negotiations with Abbas in the fall of 2013, the US again asked Israel to give up something to start talks while it made no demand of the Palestinians. 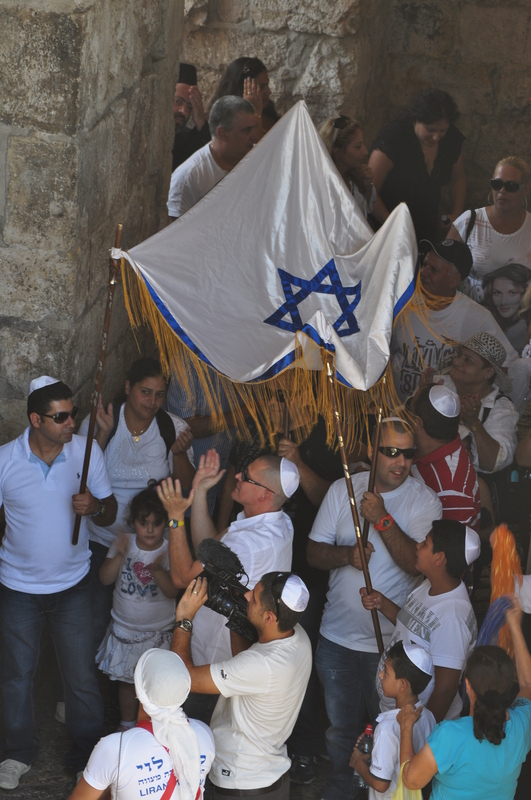 Israel released dozens of terrorists that were convicted of murder from its prisons. In exchange, Kerry could not even get Abbas to recognize Israel as a Jewish State, let alone any compromises for a Palestinian state. The negotiations failed again. In both situations the US pressured Israel to give up something just to initiate negotiations and asked nothing of the Palestinians. In the end, the Palestinians continued to give exactly the same: nothing. Giving it away upfront. The Obama administration has used the tactic of giving away bargaining points upfront in the hope of gaining something in the negotiations down the road. In Cuba, Obama has pulled back sanctions, in the hope that the country reforms. In Iran, the US eased sanctions to get Iran to consider allowing monitors to watch it build nuclear power. Netanyahu does not believe in such negotiating tactics and it has not worked out well for Israel. Giving up on Allies. The disagreement on negotiating style is only part of Netanyahu’s issue. Israel and the Middle East watched the Obama administration turn its back on its allies. Egyptian President Mubarak was once a close ally of the United States. One day, the Obama administration decided it would no longer stand by its ally and called for Mubarak’s ouster. He was rushed off to jail. Failure to Understand Regional Dynamics. Obama’s turn on Egypt’s Mubarak was followed by an embrace of the democratically-elected Muslim Brotherhood. Obama’s infatuation with the “Turkish model” of democratic Islam made him welcome the new Egyptian ruler Mohammed Morsi. Morsi reopened Egypt’s ties with Hamas (the Muslim Brotherhood in Gaza) , much to the chagrin of Israel’s Netanyahu. Those actions also undermined the more moderate (on a relative basis) acting PA President Abbas. Obama back-tracked from his support of democracy in Egypt by not objecting to the replacement of Morsi via a takeover by Abdul Fattah el-Sisi. El-Sisi clamped down on Hamas and the Muslim Brotherhood which won praise in Israel. From Israel’s perspective, a mistake was rectified to some degree, but the damage done by Obama of not standing by an ally and not appreciating the regional dynamics was etched in memory. 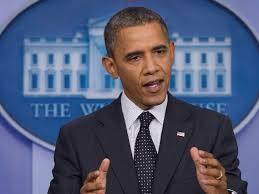 Obama not standing by Treaties or Comments. In addition to not standing by allied leaders, Obama has not stood by his own word or by US treaties with governments. For example, Obama’s declared “red line” on Syria’s use of chemical weapons came and went without ramifications for Syrian President Assad. While Obama claimed credit for negotiating a solution to get rid of Syria’s known chemical weapons, there was no personal penalty for Assad. Assad continues to remain in power and murder his countrymen. The Ukrainian situation is even more telling. In 1994, Ukraine signed onto the Budapest Memorandum which was to guarantee its territorial integrity in exchange for giving up its nuclear weapons. While it adhered to its upfront part of the bargain by giving up its weapons, the Obama administration refused to enforce its end of the agreement by coming to the aid of Ukraine when Russia invaded and annexed Crimea in 2014. Russian leader Putin correctly assessed the temperament of Obama that he would fail to honor his obligation, just as he failed to take action in Syria. Putin has continued to move past Crimea to other parts of Ukraine while the US not only fails to come to the defense of Ukraine, but drags its feet in sending weapons to defend itself. The situation is not lost on Netanyahu (while it is on the knee-jerk liberal New York Times which stated in its lead editorial on March 12, 2015 that “Republicans are perfectly willing to diminish America’s standing as a global power capable of crafting international commitments and adhering to them.” As detailed above, Obama has made very clear that HE has diminished America’s commitments, not the Republicans). Obfuscation. The last loose thread in the unraveling fabric of trust is the lack of transparency. While Obama touted his goal of transparency when he ran for office, his administration has been one of the least transparent. Witness Obamacare, where House Speaker Nancy Pelosi famously said “We have to pass the bill to that you can find out what is in it.” Secretary of State Hillary Clinton ran her own email server outside of the State Department and deleted emails at her own whim. Now, Obama refuses to provide details of the Iranian negotiations with Israel. The trust between Obama and Netanyahu is broken. Compounding the Israeli frustration with the lack of trust in the Obama administration’s dealing with Iran, is the unilateral course that Obama has taken. Obama has effectively barred Israel from attacking Iran and is attempting to seal negotiations without legislative approval. Blocking an Israeli attack. As soon as Obama began to negotiate with Iran, it became impossible for Israel to attack Iran. How could Israel attack the facilities while the US was pursuing a diplomatic initiative? The start of Obama’s talks signaled the end of Israel’s ability to destroy their nuclear program. Skipping Congress. Obama repeatedly stated that he does not believe that he needs congressional approval to sign a deal with Iran. As such, he has asserted that he has complete authority to negotiate and finalize a deal. The Republicans, which now have majority control of both the House and Senate, strongly disagree and have taken steps to make their position known to both the Obama administration and Iran itself. 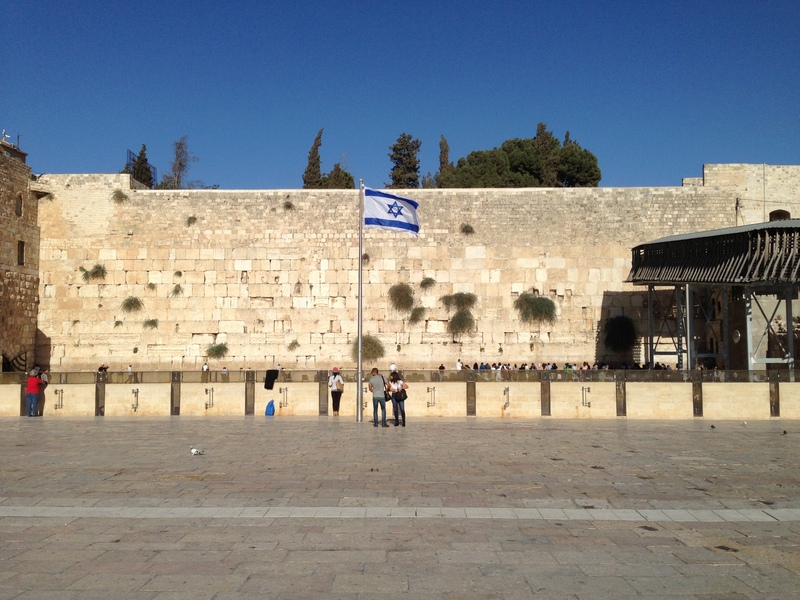 The Trust in Competencies and Fear of Consequences leaves Israel in a vulnerable and lonely spot. While Israel fears it will be sacrificed at the alter of larger players like Czechoslovakia in 1938, it sees how the lead negotiator will not enforce any security agreements that may be struck, as in the embattled Ukraine today. Summary: While Obama can pretend to be insulted by Netanyahu’s failure to follow protocol in accepting an invitation to speak to a joint session of Congress, Obama did much worse to Netanyahu in 2013. It shows that if you are a friend, you forgive, and if you want to be angry, you can always find a cause to validate your anger. Netanyahu’s acceptance of an invitation specifically addressed to him, to discuss a topic that he considers an existential threat to his country, to speak to an incredible audience that also cares deeply about the subject of Iran doesn’t seem to be a snub to Obama at face value. However, if one considers that the audience does not agree with the president’s current course of action, and that Netanyahu’s opinion does not fit squarely with the president’s approach, well, that’s a different story- that could theoretically have been a snub and attempt to bypass the president that is…what’s the word? Familiar. 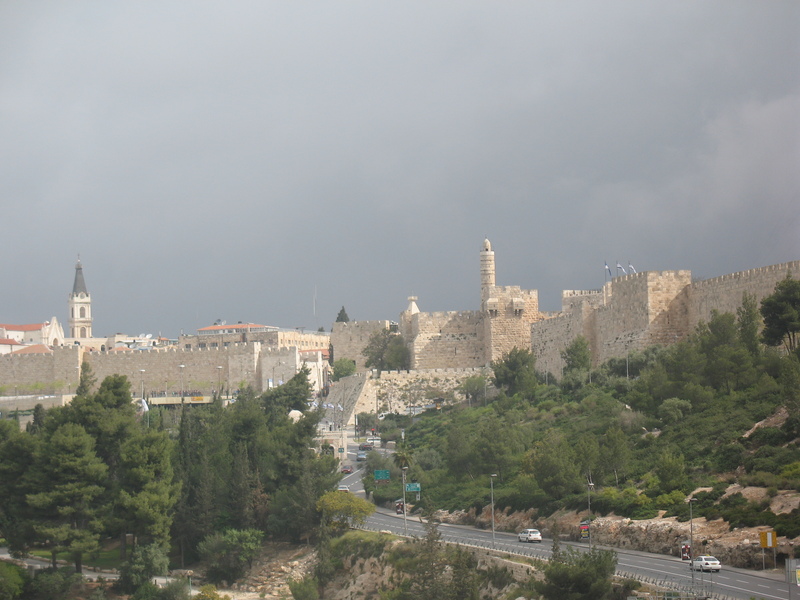 In March 2013, Israel invited US President Barack Obama to visit Israel and speak to the Knesset, the Israeli parliament. 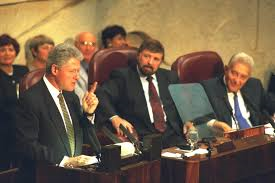 Both of the two previous US presidents, Bill Clinton (1994) and George W Bush (2008) addressed the Knesset while they were in office. Obama declined the invitation. This US administration wanted to bypass the Israeli government and address the Israeli citizens directly, saying that Obama had a speech for “the Israeli public and that really was our priority.” The White House arranged to have an audience of students from Israeli universities (except he did not allow students from schools on the West Bank of the Jordan) to hear his remarks. Was declining an invitation to speak to the Knesset a nice thing to do? 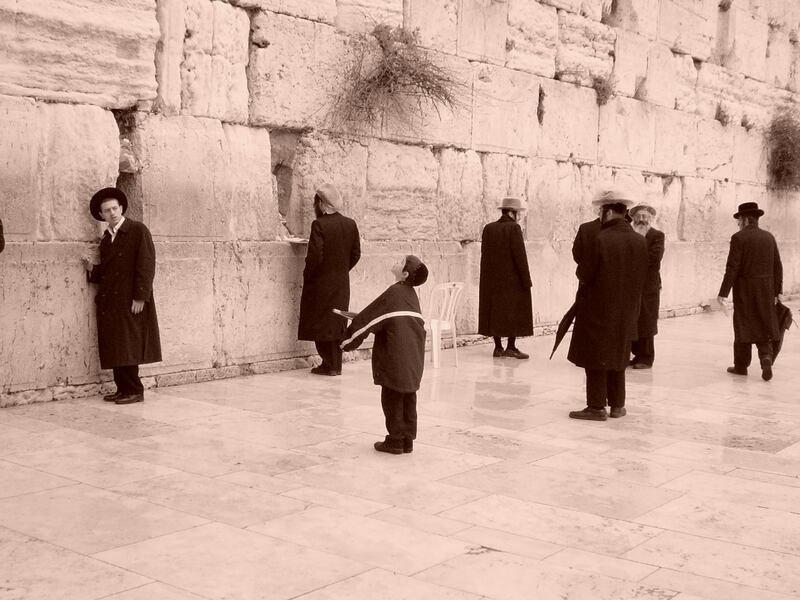 It is not something Israel extends to most world leaders. Was it appropriate to use that same time slot to speak to “the Israeli public” instead? Did Obama not realize that Israel is the democracy and the politicians are elected by the people and represent the people? (As opposed to his “New Beginnings” address to the Egyptian government in 2009. Obama cherry-picked his “Israeli public” to be those young people who may have been more receptive to his remarks than an audience that truly represented the broad opinions of the citizens of the country and the Knesset. How did Netanyahu react to these insulting actions of the White House? Did he take umbrage? Did he refuse to see Obama and did Bibi direct members of his political party to ignore Obama on his visit? Not at all. He acted like a perfect host. Note that these various 2013 actions of Obama were not a single failure to coordinate as it was for the 2015 Netanyahu invitation. Obama carefully scripted the entire Knesset-snub, direct-to-some of-the-people message. In Obama’s opening remarks to the student body he said: “any drama between me and my friend, Bibi over the years was just a plot to create material for Eretz Nehederet (an Israeli comedy show)”. I wonder how Obama will react if Bibi opts to make a similar joke about his buddy “Barack” in his address to Congress in March. And what was the crux of Obama’s speech in March 2013? Why did he feel the need to give a cold-shoulder to the Knesset and Netanyahu? On the Iranian nuclear threat, Obama argued that a “strong and principled diplomacy is the best way to ensure that the Iranian government forsakes nuclear weapons….But Iran must know this time is not unlimited. And I’ve made the position of the United States of America clear: Iran must not get a nuclear weapon.“ Words that sounded nice to a generation that believed “hope” was a policy. Obama knew that the Israeli Knesset and Prime Minister Netanyahu were very skeptical about Obama’s push to curtail sanctions on Iran. Obama therefore opted to bypass them and speak to a select audience that would applaud his vision. Now, two years have passed and Iran is closer to nuclear weapons. Obama scaled back Iranian sanctions and has continued to delay the timetable he laid out to stop their nuclear program. The majority of Congress doesn’t like the situation and they don’t agree with Obama’s process. Does Obama really lack complete sensitivity to Israel’s fears about a nuclear Iran that he would inflate a matter of protocol over an invitation to such a degree? 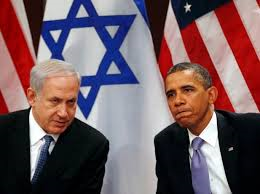 Or is it just a ploy for Obama to influence Israel’s elections by trying to put down “his friend Bibi”? 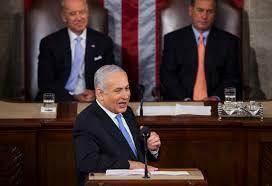 There are a good number of people who have suggested that Netanyahu should cancel his March speech. Of course, they include his political opponents in Israel, but they also include some Democrats in the US Congress and leaders of Jewish organizations. “Changing a ‘yes’ to a ‘no’ is only acceptable on account of: illness or injury, a death in the family or an unavoidable professional or business conflict. Call your hosts immediately.” Vice President Joe Biden and some Democrats seem to be manufacturing this excuse for not attending now. “Canceling because you have a “better” offer is a sure fire way to get dropped from ALL the guest lists. Being a “no show” is unacceptable. In short, it is inappropriate for Netanyahu to turn down the invitation at this time. It would be up to Speaker Boehner to consider changing the date of the invitation, should he choose to smooth this inflated side-issue to get everyone focused on the main issue.